This is a rectangular Biere De Noel porcelain sign. This particular Biere De Noel sign is very colorful. 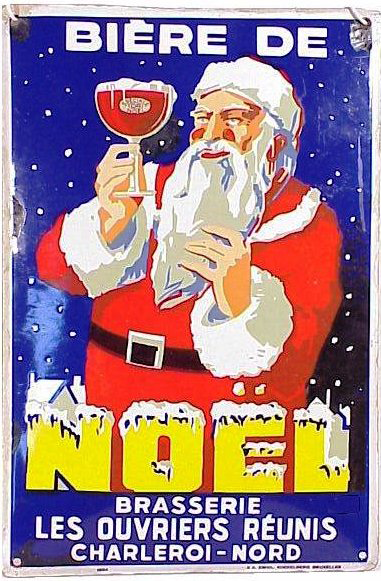 It reads, “Biere De Noel Brasserie Les Ouvriers Reunis Charleroi – Nord” and features a red and white Santa holding a glass of beer against a blue background.